With an affinity for roses, Casey Pradelli knew she had to surround her newly purchased, Haverford, Pennsylvania, home with them. As her husband restored the interior of their late 1800s home, Casey focused on the exterior of the half-acre property. 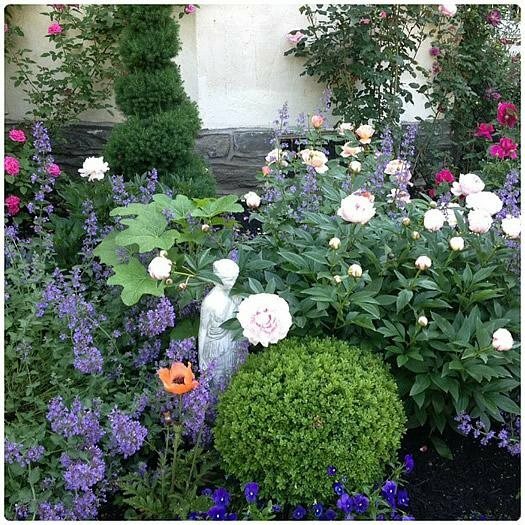 Not one to follow “the gardening rules,” Casey posted an ad online offering up all the existing bushes on the property, free to anyone who wanted to dig them up and set out to plant her rose garden in front of the house. “The neighbors thought I was crazy! But they thought I was more crazy when I told them I was planting a rose garden in the front planting bed,” shares Casey. “They were surprised that I was planning a rose garden in the front instead of the back.” Little did her neighbors know, she knew what she was doing. “I started my tiny rose garden 13 years ago at my old home. My planting bed was only 2 feet deep and 15 feet long, but I managed to pack in 20 or so roses along with perennials to hide their “ugly legs.” Needless to say, those once skeptical neighbors now enthusiastically look forward to spring each year. “I studied the gardens of Gertrude Jekyll and knew that's who I wanted to emulate. I also knew I wanted to add more old garden roses to my collection of mostly David Austin roses. 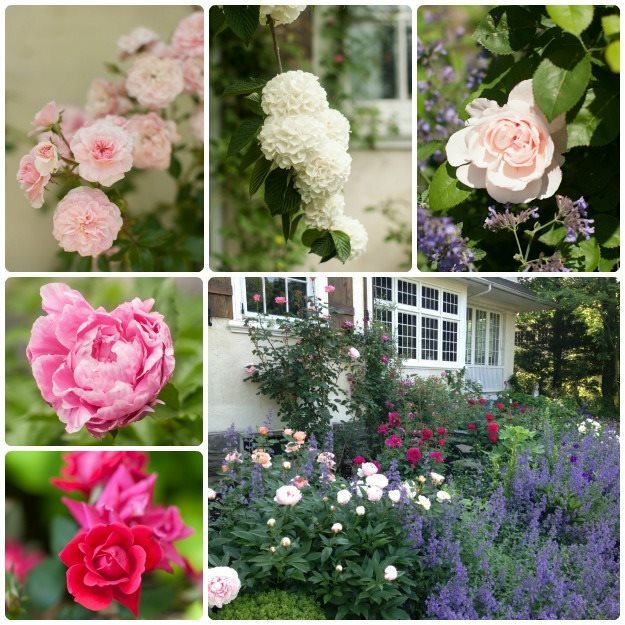 And, because I was going for an English garden there had to be plenty of catmint, lady's mantle, foxglove, delphinium, hollyhocks, and peonies to mingle with the roses,” says Casey of her garden, which is now in its fourth year. Are you passionate about outdoor design and garden aesthetics? Garden Design magazine features ideas and well-researched insights from the work of the top designers and landscape architects, as well as material selections, furnishings, plant combinations, and outdoor style.